Last year, in time for the 67. Lindau Nobel Laureate Meeting, we launched the Lindau Alumni Network. The Lindau Alumni Network is the exclusive online community for alumni of the Lindau Nobel Laureate Meetings. A digital space to keep the “Lindau Spirit” alive. Now, after a year of interactions and more than 1000 active users, we would like to announce the launch of the updated and redesigned Lindau Alumni Network! Lindau Alumni who already had access to the Lindau Alumni Network, including all alumni of the 2013–2017 meetings, have a profile in the new community. They will be invited by email to activate their profile. In order to foster online interaction prior to this year’s meeting, access to the Lindau Alumni Network is already open for #LINO18 participants. They, too, can login by activating their profile by clicking on the link in their invitation email. Other Lindau Alumni can now easily request an invitation to join the community on the public login page. Search the alumni directory for fellow scientists: A world map gives you a quick overview of Lindau Alumni near you. Use search operators including name, home institution, home country, alma mater, work group, year of the attended meeting and more. As the Lindau Alumni Network grows, so will the search directory. 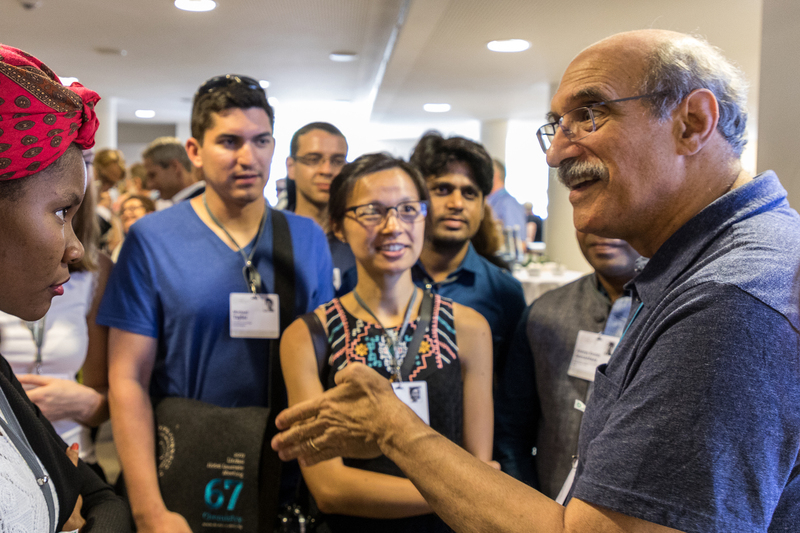 Find alumni events: The Lindau Alumni Network is the place to find announcements and invitations for local and global Lindau Nobel Laureate Meetings alumni events. The next event Lindau Alumni can register for is our first Lindau Alumni Workshop with Alaina Levine on 10 July 2018 in Toulouse, France. In the new Lindau Alumni Network, it is easier for Lindau Alumni to create and promote their own events! The trips feature lets alumni easily inform others about their upcoming travel, making informal meet ups easier to organize. Expanded personal profile: A personal profile page is created for every alumnus or alumna based on their submitted data from the application process. Every Lindau Alumni Network user has control over the information that is shared, and can add details on, e.g., research interests or personal background. As a new feature, users can now add information to their profile by importing their LinkedIn or Xing profile. Exchange ideas: The Lindau Alumni Network offers a number of ways to exchange ideas, plans and anecdotes with others. The “Activity” stream offers a timeline similar to that of popular social networks, with options to easily share interesting links, fascinating videos and evocative images. A news section will include exclusive blog articles and interviews with Lindau Alumni. The trips feature lets alumni easily inform others about their upcoming travel, making informal meet ups easier to organize. Organise with other alumni: Users can create or join groups and this way organise with fellow alumni around shared interests and experiences. 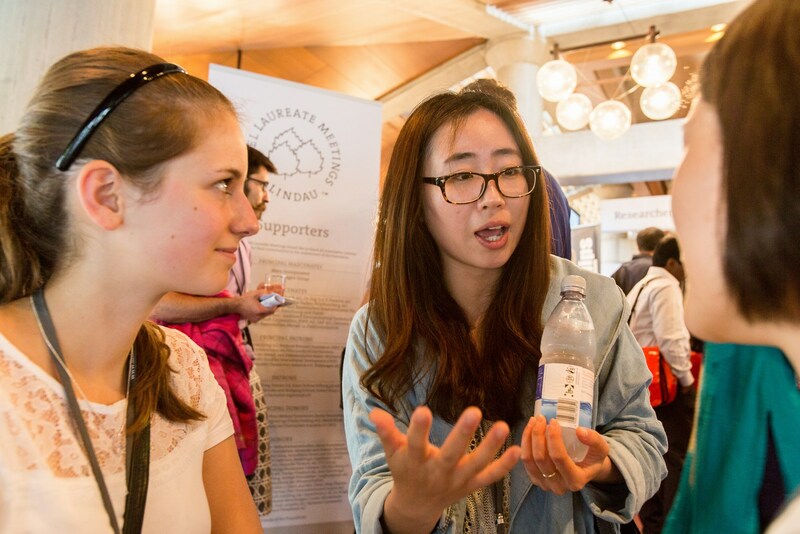 Groups administered by the alumni and communications team are a unique way to stay up-to-date with all things revolving around the Lindau Meetings. Peruse the job and calls board: The Lindau Alumni Network includes a job board that will be updated with select, high quality job offers and calls for papers and nominations to conference. The job board offers a space to find qualified, skilled employees and partners who are already part of a select group: The Lindau Alumni. Users can find more information on how to use these features within the Lindau Alumni Network. 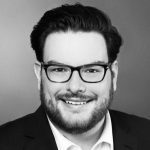 For any questions or suggestions regarding the Lindau Alumni Network and other alumni activities, please contact Christoph Schumacher, the Alumni and Community Manager. Christoph Schumacher is the alumni and community manager of the Lindau Nobel Laureates Meetings. Before coming to Lindau, he studied British and North American Studies in Konstanz and Freiburg. He's excited to connect with scientists across the world.